BeachTravels is very proud to present the volleyball legend Anders Kristiansson as one of BeachTravels’ coaches in Clearwater Beach! I´m looking forward to the same great atmosphere as it was in Portugal, with very excited participants who want to learn and develop their technique. 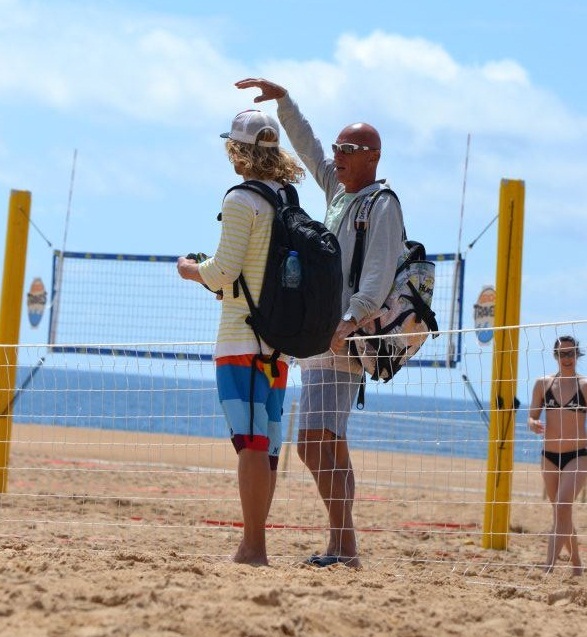 I believe it will be the same kind of professional training camp that BeachTravels made in Portugal. USA and Beach Volleyball has a special connection because that was where the modern sport of beach volleyball was created. It will be interesting to see how our participants will perform in Volley America National Championship. It’s a great opportunity for Swedish players to extend the season from April to late October. I think it´s good to have competitions to focus at this time of year to prolong the short competition period. It would also be fun if other nationalities than Swedes would discover that BeachTravels is probably the best in Europe for this type of training trips. My experience from their training camps is that they maintain a high level of quality throughout the entire camp and I think that the experience for the participants will be even greater if you get to know more people from other countries, who share the same interest. Do you have any general tips on what to practice to become a better volleyball player? 1. Good first touch. Learn how you control the first touch in both good and bad situations, both in passing and digging. 2. Good hand control when you attack. Can you give us three things everyone should think about when packing for Florida? If you wanna learn from Anders Kristiansson, don’t miss the early booking discount until 6th of June!